SEOUL, April 17 (Yonhap) -- South Korean President Moon Jae-in is girding for a high-stakes cross-border summit next week, a hard-won chance that could potentially vindicate his once fragile dialogue approach and chart a diplomatic path toward North Korea's denuclearization and peace on the peninsula. The April 27 meeting, which will be the third-ever inter-Korean summit, is likely to be a stiff test of Moon's ability to overcome domestic skepticism, inter-Korean distrust and convoluted geopolitics to address the nuclear standoff that has eluded his predecessors and their U.S. counterparts for decades. Experts view the summit with a mixture of hope, misgivings and even fears that a failure in the top-level showdown could mean a depletion of diplomatic means and a reversion to a volatile period of hostility. 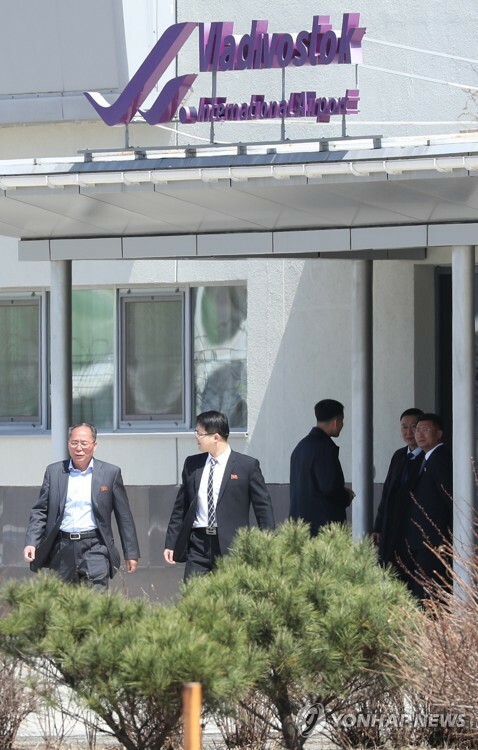 Moon's tete-a-tete with North Korean leader Kim Jong-un is set to occur at the Freedom House, a South Korea-controlled building in the truce village of Panmunjom. It will be followed by Kim's unprecedented summit with U.S. President Donald Trump in May or early June. 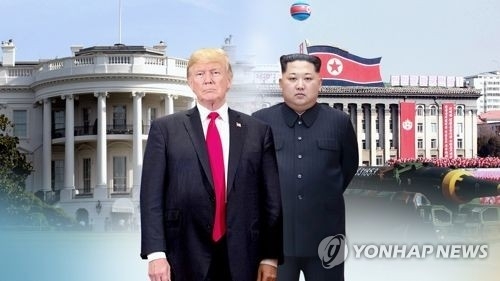 "The two Koreas' summit could mark a chance to get over what we call Korea risks by stabilizing their ties -- a stark contrast with the widespread public angst last year over the possible outbreak of war on the peninsula," Nam Chang-hee, security expert at Inha University, told Yonhap News Agency. 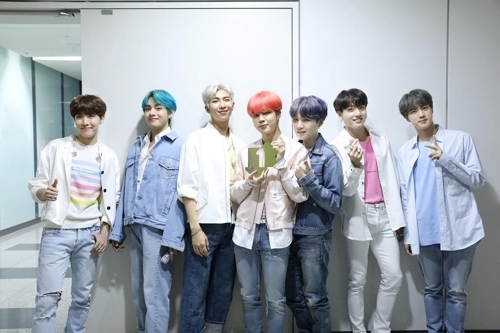 "Moon's diplomacy was once imperiled by Pyongyang's provocative behavior vis-a-vis the United States last year, but Seoul's mediating role was highlighted through the Olympic detente that could likely redound to his political benefit," the scholar added. The liberal president took office in May last year with a vow for engagement with the communist neighbor in a major shift from a sanctions-centric approach that had seen bilateral ties plunge. But his quest for rapprochement was met with intense criticism, mostly from conservatives, that it would only embolden an increasingly belligerent North Korea and undermine the international sanctions regime. The criticism peaked in September when Pyongyang conducted its sixth and most powerful nuclear experiment. A fusillade of its ballistic missile launches, including an intercontinental one, also raised doubts over Moon's dovish approach. The exchange of tirades between Trump and Kim got in the way of Moon's peace crusade. Trump threatened to rain down "fire and fury" on Pyongyang and "totally destroy" it if necessary to defend his country and its allies. Kim hit back later, calling Trump a "deranged dotard" and boasting of his "nuclear button." Despite these misfortunes, Moon continued to put out diplomatic feelers to Pyongyang, signaling that a promising path to peace and prosperity lies ahead for the isolated regime should it halt its nuclear adventurism. The PyeongChang Winter Olympics in February was a catalyst for a thaw in cross-border ties -- and an opportune time for Pyongyang to change its provocative tack and launch a charm offensive to weaken global sanctions and ease its economic hardships. 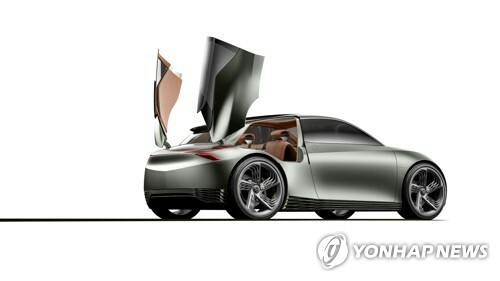 The two Koreas' leaders exchanged special envoys during and shortly after the Olympics and agreed to hold their summit. Trump also accepted Kim's invitation for talks, which was delivered to him through Moon's emissaries. 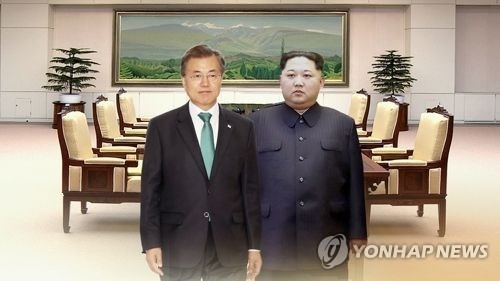 "By playing a central role in inducing the North to come out for talks, Moon has shown that his slogan of taking the 'driver's seat' on Korean Peninsula issues is not an empty one, given that the chant has, in fact, led to a tangible outcome," Jun Kye-wan, a political analyst, said. Still, skepticism over the Moon-Kim summit runs deep, as Pyongyang's intentions behind an abrupt course correction and its commitment to denuclearization remain ill-defined, with geopolitical hurdles likely to kick in. Theories vary as to why Kim has decided to come to the negotiation table after more than six years of a policy focus on developing nuclear arms and long-range missiles at the expense of his country's economic development. 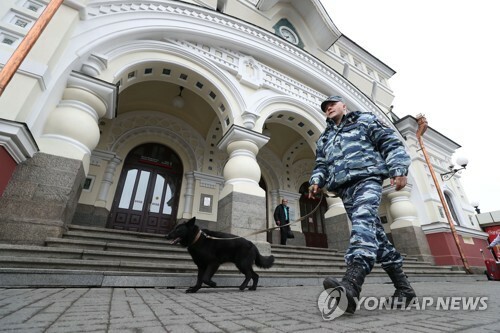 One prevailing guess is that the North has started to buckle under the pressure of the biting international sanctions that threaten to cripple its economy and erode public support, coupled with the rising threats of U.S. military action to be overseen by the combative U.S. leader. Through its nuclear posture review in February, Washington showed its intent to deploy "low-yield" nuclear weapons, which analysts said would limit damage to an adversary but could lower the psychological threshold for the use of nuclear arms. Media reports about America's "bloody nose" strategy to mount a limited strike on the provocative regime might have been another source of anxiety for Pyongyang, despite Washington's denial of such a military plan. 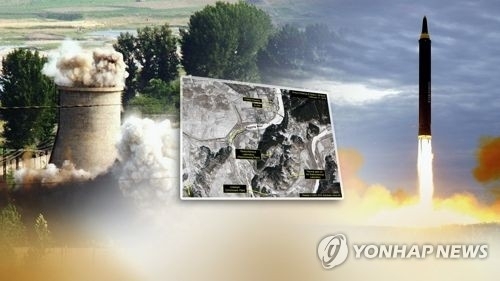 "Pyongyang might have made a strategic conclusion that it would be more advantageous for it to engage in negotiations now rather than possessing nuclear arms amid the risks of a U.S. military attack," said Cho Han-bum, senior researcher of the Korea Institute for National Unification. "The North's dilemma is that the more it edges closer to the completion of its nuclear program, the greater the threat to its regime would become. In a nutshell, the nuclear program it started for regime stability is posing a threat to that stability," he added. Some raised the possibility that the young North Korean leader has changed course to position himself as a venerated communist paragon of openness and reform -- akin to Deng Xiaoping that spearheaded China's economic revamp in the late 1970s. Others argue that Kim's diplomatic outreach reflects his confidence in his domestic power consolidation after years of purging -- or executing -- his rivals or potential dissidents, and carrying out frequent military shakeups to compel their loyalty. Kim's intensions aside, the negotiations for denuclearization would be a tough process for Moon, analysts said. The major sticking point is expected to be the description of denuclearization. Some experts believe the North's version of denuclearization may mean a series of demands unacceptable for Washington. "The 'denuclearization of the Korean Peninsula' is an expression used by the North that refers to the end of the U.S. nuclear umbrella in Asia, the end of extended deterrence commitments to South Korea, and the removal of ground troops as the only way to signal an end to U.S. hostile policy,' Victor Cha, former Asia affairs director on the U.S. National Security Council, said during his congressional testimony last week. How to carry out the denuclearization process is another source of contention. Washington is thought to oppose the step-by-step denuclearization formula seen as vulnerable to the North's "salami" tactics of dividing and separating issues and making new demands for progress in every step. It appears to favor a deal in which the North first dismantles its nuclear program before any compensation could be given. During last month's summit with Chinese leader Xi Jinping, North Korean leader Kim said he wants a "phased, synchronized" method. Seoul's presidential office said it will seek denuclearization in a "comprehensive, phased" manner without much elaboration. "From the North's standpoint, agreeing to the broad principle of denuclearization would be considerably burdensome ... 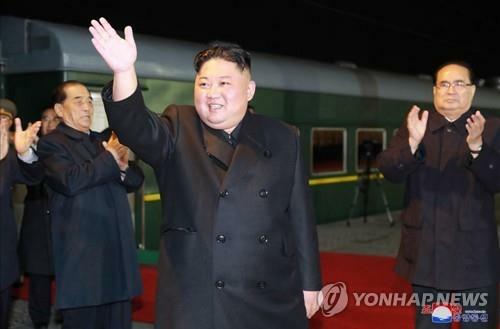 Given that it has defined itself as a nuclear power in its constitution, Kim could face a political backlash for abandoning nukes," Nam of Inha University said. "So incentives are crucial to squelch internal dissent, and it is important to strike a balanced compromise between what Kim wants and what Trump really seeks to achieve (ahead of the U.S. midterm elections in November)," he added. 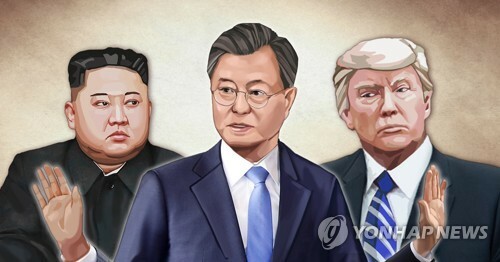 To boost chances of success in the upcoming summits, Moon and Trump need to come up with "out-of-box" solutions rather than rehashing old tactics or resorting to tried-and-true methods unlikely to sway the North. 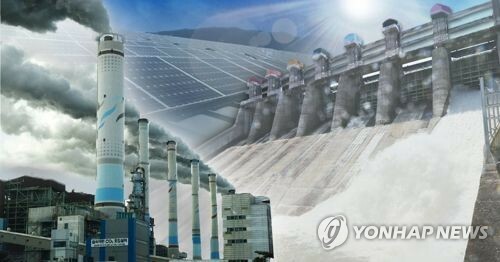 "Many ideas have been floated in academia, such as bringing the North under America's nuclear umbrella to make it a pro-U.S. state and pursuing a peace solution that recognizes two different political systems on the peninsula," said Park Won-gon, security expert at Handong Global University. "They may be unrealistic, but we need to devise ways that go beyond the North's imagination. Without any creative solution, it could be difficult to anticipate a breakthrough when the North's will to denuclearize appears still weak," he added. Amid Pyongyang's diplomatic offensive, concerns have also surfaced that the wayward regime could take advantage of Moon's initiative to raise its diplomatic profile and escape the intricate web of global sanctions. "As the prospect of the U.S.-North Korea summit emerges on the back of the planned inter-Korean summit, Pyongyang appears to be seeking to use (Moon's peace drive) as a lever to enhance its strategic standing," said Go Myong-hyun, a research fellow at the Asan Institute for Policy Studies. "As evidenced by the recent China-North Korea summit, Pyongyang is signaling that it will take the initiative on its own to improve ties with China, Russia and the U.S. without being bound by the inter-Korean talks," he added. In the runup to the cross-border summit, another challenge to Moon is to get China and Japan on board in a way that facilitates the North's disarmament. Concerns have recently surfaced that trade friction between Washington and Beijing could erode the united front in handling Pyongyang's military threats. Japan could also inject a new complexity in the denuclearization efforts by linking its long-standing abduction issue to the security quandary.